HRH Prince Leonard, as Commander-in-Chief of the RHRDF, is in overall command of the RHRN and he is assisted by a Commanding Officer (Navy) and his deputy. The Navy is represented by Members located on several continents and geographical areas including Australia, Europe, North America and Asia. “See and be seen” might be the Navy’s secondary motto as one key purpose of the RHRN is to be a tangible representation of the Principality at military events and ceremonial occasions world-wide. 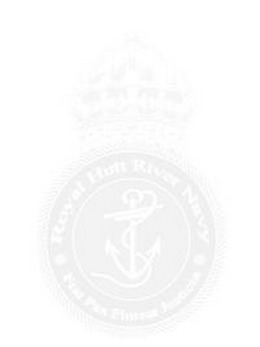 Whilst the RHRN supports and endorses the charitable and community work of the RHRDF, the Navy places importance too on memberships of, and participation in, major nautical and naval associations. In this way the RHRN officers can forge close links with other naval officers, contribute to the aims of such organisations, whilst increasing the visibility of the Principality. The RHRN is able to call upon naval expertise from a number of its officers, including a world-renowned expert on submarine and surface warfare, and another who is a member of the Royal Institute of Navigation. Over the years many of our Members have previous service in the armed forces of the United Kingdom, Canada, and the United States as well as other naval forces around the globe. One of our officers, now sadly deceased, was inducted into the prestigious Naval Order of the United States, another worked as a researcher at National Defence Headquarters in Ottawa, Canada.